It is the most exciting time of the month where I share all my ups and downs of my blogging journey with all of you. This update is all more special because this is the last update for this year and many exciting things happened this month. This year is quite special to me; I started this blog from just an idea to making it live back in July. It is still feels surreal to me, but thanks to all of you, I am so inspired to make it more resourceful and helpful. It was again a great month regarding traffic, income and writing more useful content. Though I have set some high targets for this month, I am totally happy I could reach my goals. Last month the traffic was over 70,000 page views, and I was aiming at 100,000 for this month. I am at 85,000 page views, did not reach my goal but still happy to see a good increase. There has been a decrease in the bounce rate and an increase in returning visitors. I am still working on writing longer posts which might reduce the bounce rate further. With Pinterest becoming my primary traffic source, I am working on making more changes to my pins and descriptions. My list has gone up to 500. I could not be happier, but the thing I am really looking forward to is, I will be offering a freebie to my readers next month. I am at 1.9k followers, and that’s a gain of 500 since last month. Pinterest had some glitches last month which slowed my traffic a bit but not significantly. I started pinning manually last month, and it has worked for me. I still use Boardbooster and Tailwind for the amazing automation like looping and analytics. I definitely cannot do without the Tailwind’s analytics. My page likes are growing and are at 778. What I like about it is, the strategies that I am using are surely working. I have been testing with some posts, timing, and type of posts. I intend to work on this platform in the new year. It does not get much traffic for me, so I usually don’t spend much time on it. But I would like to see some growth soon. I have again neglected Instagram. I just post my blog posts on this platform. I need to work on a strategy to get traffic from Instagram as well. I am super thrilled with the steady growth in income. One thing I am looking into is, diversifying the sources of revenue. It is always a good strategy to make money from different sources than putting all your eggs in one basket. I have started reading more about different aspects of blogging after buying the Ultimate Bloggers bundle last month. I am also trying to implement all the tips in the Making Sense of Affiliate Marketing course. Michelle is a pro when it comes to affiliate marketing, and the proof is most of my income is majorly from affiliates. I also joined many big group boards on Pinterest, thanks to all the bloggers. Tracking and analyzing your traffic and income sources is a critical step in blogging journey. If you know where your most traffic/revenue is coming from, you can work more on strategies to increase them. That is the main reason; I still use Tailwind. It has the most powerful analytics. I am very excited for 2017 as January marks the completion of 6 months of blogging for me. There are many things that I have learned and much more to learn and achieve. With the freebie ready, I will be working on increasing my list in the new year. I am also planning on some changes to my newsletter. Reaching 100k page views would be great in the new year when the blog finishes six months. I never set a target for income, so any increase would be great but will work on diversifying the sources of revenue. Hitting 500 subscribers is great, and I am going to work on increasing that number. But it can be a smooth process if you implement the right strategies, here are some resources which helped me to reach this stage, I highly recommend them, and they can be quite helpful no matter at what stage of blogging you are. Making Sense of Affiliate Marketing – This is by far the best course I took and it has helped me in many aspects of affiliate marketing. 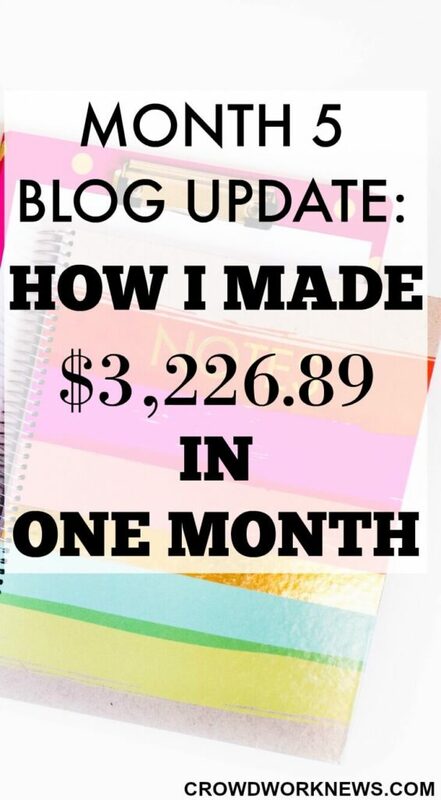 This course is a must for anyone who is serious about making money from their blog. Pinteresting Strategies – Carly’s Pinterest strategies helped me to exponentially grow my traffic and in turn my income. I have tested them and they definitely work. Strategies Worth Sharing – An eBook which I bought even before starting my blog and it helped me to reach 700+ likes on Facebook. With Facebook being the second biggest referral for traffic for many bloggers, you need to invest in this to grow your traffic. Bluehost – I have had a great experience with Bluehost. Blogging is a great side hustle and if you are waiting to start a money-making blog on a budget, then Bluehost is the way to go. I am super happy finishing this year with so much growth. It has been an incredible year for me with regards to my blog reaching many milestones. Here’s to the New Year and new goals!!! Survey affiliates are the survey companies that I recommend. Thanks for sharing! It’s great to see the results different people have, and thrilling to see your success so early on. I’m just getting started, and tend to want perfection before promotion, so still working on my initial posts. I stress over the details and sometimes miss the big picture. I love your candid way of sharing what is working and where your challenges are. I look forward to seeing your future reports! Glad you liked the post:-). I was there, spending hours on a single post, but what eventually what I figured out is writing and promotion are equally important. I wish you all the best!! Congrats on these outstanding results. I’m amazed that you were able to get so far so quickly. Wow on the 5 months. Keep it up. It is still new to me, but I think it is learning and implementing new strategies that helped. You are growing at such a fast rate and that is so awesome! Thank you so much for commenting!! I might write a post on my blogging journey so far, will surely let you know when I publish it:-). Thanks for all your awesome posts!! I have read everyone of your income reports and find them very helpful I can’t wait to read more in the future. I even have a secret board on Pinterest called crowd work news because your blog is so helpful and filled with great stuff. I love your income reports! I have a simple question, what do you use for an ad network? Thank you!! I am with AdThrive now.